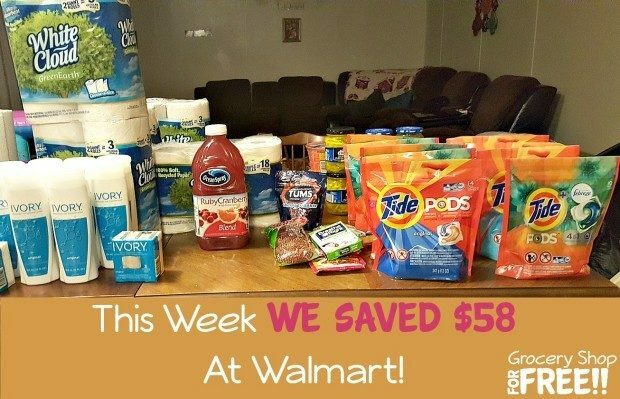 This Week We Saved $58 At Walmart! This week we had a pretty good run at Walmart! The Tide deal alone was worth the trip! All together we got $101.76 worth for just $43.26! That’s a savings of $58.50!